Here's how to beat the Corrupted Monk in Sekiro: Shadows Die Twice. There are two variations of the Corrupted Monk fight in Shadows Die Twice, and both can be pretty difficult to overcome. 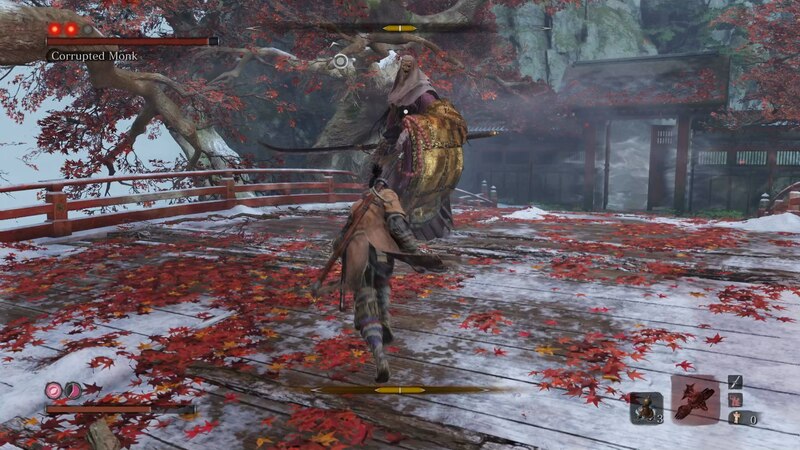 In our Sekiro Corrupted Monk boss guide, we'll be detailing how to beat the Corrupted Monk in Shadows Die Twice as easily as possible. 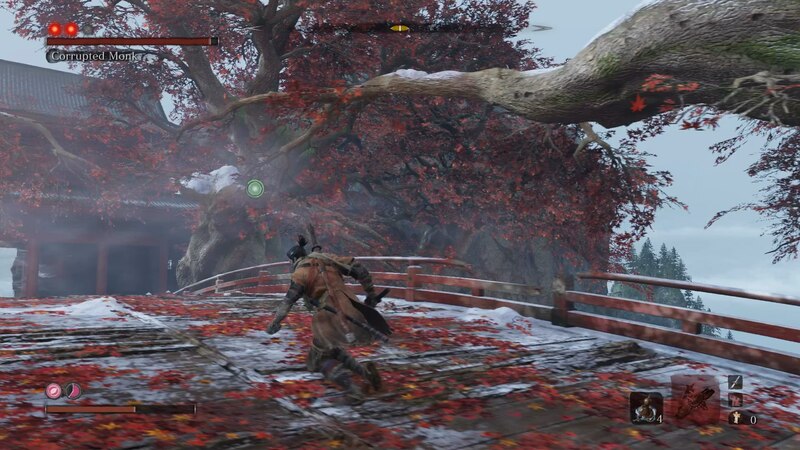 As we mentioned at the top of this guide, this is your first chronological fight with the Corrupted Monk in Sekiro. This comes in the Ashina Depths, and follows nearly straight after the boss fight with O'Rin of the Water. This fight with the Corrupted Monk is going to be a largely defensive battle. Take any item that boosts your vitality or Posture meter, so either a Gokan's or Ako's Sugar. When you first run into the arena from the Water Mill Sculpor's Idol, the ghostly version of the Corrupted Monk will appear. Although this version of the Corrupted Monk is almost certainly an apparition, it doesn't deal Terror damage. On top of this, you can harm it through perfectly conventional methods like attacking and deflecting, so there's no need to burn a Divine Confetti item here like you would with the Headless enemies, for example. The Monk thankfully only has one Deathblow meter for this fight, but it's still tough. It can easily chain together upwards of five sweeping attacks in a row, which you're going to want to get the timing of down so you can deflect them and deal some serious Posture damage. Retreat too far away from the Corrupted Monk, and it'll launch itself through the air, performing either a slamming or a sweeping slice attack when it lands. There's no dodging this, so get ready to deflect the monk when you see it jumping through the air. The Corrupted Monk has two red kanji attacks: one is a sweeping attack, while the other is a thrust attack. You can easily jump over the sweeping attack (but watch out for the follow up vertical slice attack), but you should aim to use a Mikiri Counter on the thrust attack. Distinguishing between the two attacks is incredibly tricky, so watch out for the positioning of the monk's staff to try and learn which attack it's about to execute. The important thing in this Corrupted Monk fight isn't to whittle down the health of the boss, but to keep the pressure on the Posture meter. The monk is really tough, so there's basically zero chance you'll ever get the health meter down to less than a quarter. Instead, focus on getting the timing of your deflections spot on, and keep up the pressure by landing in a hit or two whenever you see an opening after a chain attack. If you thought that fight with the apparition of the Corrupted Monk was the only appearance of the monk, then we've got bad news. 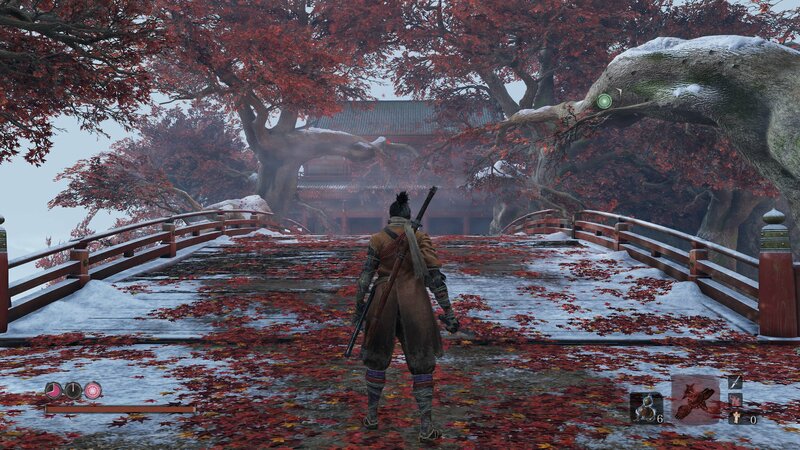 You're going to be fighting the Corrupted Monk again, for real this time, in the Fountainhead Palace area of Sekiro, towards the end of the game. In this initial phase, the Corrupted Monk thankfully behaves largely like its previous iteration. It shares most of its attacks with the version you fought before in Mibu Village, so get ready for various chained sweep attacks. As ever, you should be looking out for the Mikiri Counter. This is one of the red kanji attacks that you can really take advantage of to damage the Posture of the monk, but the other attack is a huge sweep. We nearly always got caught out between the two, and patience is the key here. In phase two of the Corrupted Monk, things change a lot. At the start of the phase, the monk will disappear into the ground, and three ghostly apparitions of the monk will rise up periodically. You can tell they're about to rise up from the ground when you hear an audible moan. Thing is, these three apparitions don't stick around. They pop up, take a big swipe at you, and then disappear back into the ground. The boss fight basically becomes a massive game of dodging in this second phase, and you're going to want to zip from tree branch to tree branch whenever you hear the moan, signalling that three very quick attacks are about to come your way. There's usually three rounds of ghostly summons in this phase of the fight. After this, the Corrupted Monk will appear again in the middle of the bridge, and you're free to return to the fight as if you were back in phase one. We should note that the ghost phase can happen more than once, and we once had the trio of ghosts pop up three times for us in this second stage of the fight. And finally, just when you think things couldn't get any worse for our poor Shinobi, the head of the Corrupted Monk is replaced with a giant worm. Charming. Oh, and it periodically shoots out a jet of gunk at you. Thankfully though, the stream of gunk only comes out as a red kanji attack. Meaning the Corrupted Monk can't just drop it on you suddenly without warning. The stream of liquid does deal Terror damage though, so you might want to take a Pacifying Agent with you into this fight. This is where you might want to employ the Firecracker Prosthetic. There's little need for the Firecracker throughout the rest of this fight, but since this is the third phase and you're so close to the finish line at this point, you might as well as spam the tool and get in a few solid hits on the Corrupted Monk. 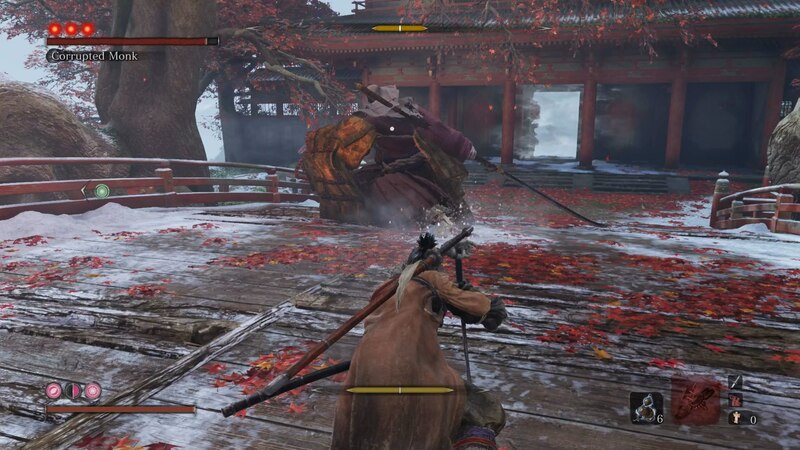 There's actually a really easy way to cheese the first two stages of the fight against Sekiro. Jump up to the middle tree branch as soon as you enter the arena, and when the boss lands on the floor, Deathblow it from above. In the second phase simply repeat this method, as when the mirages of the Corrupted Monk enter the arena, you'll be able to Deathblow the boss from above. In the third and final phase to the Corrupted Monk, use Divine Confetti for an attack boost. Now chain this together with the Firecracker Prosthetic to stun the boss, and you'll have no trouble at all taking it down.